De-LUSH-ous. I recently forced my boyfriend to join me at LUSH Fresh Handmade Cosmetics. Upon entry, you can smell the abundance of delightful smells. 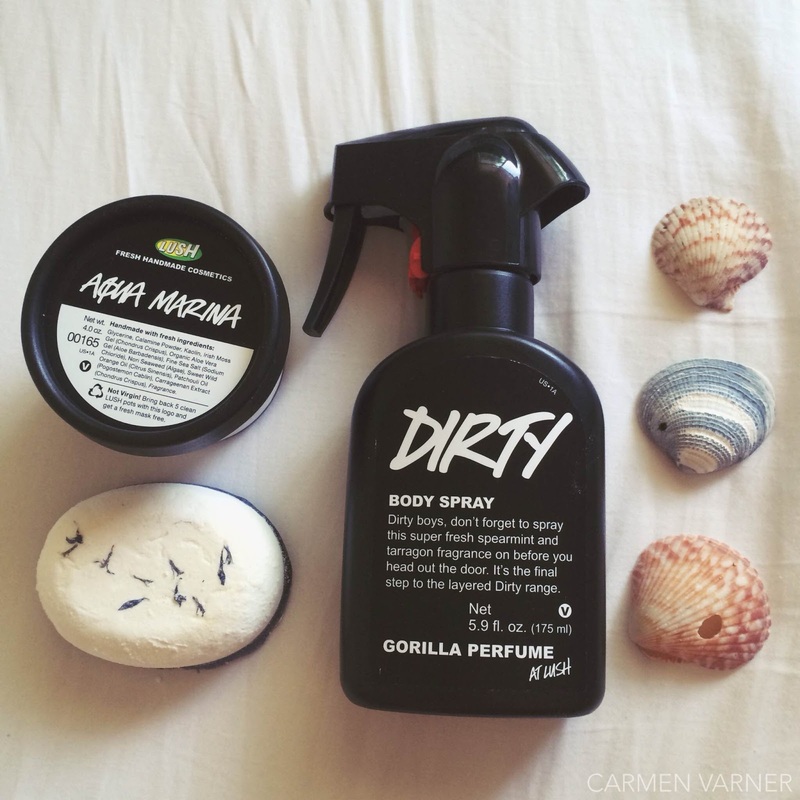 From bath bombs to perfume, LUSH has it all. The best part is that they are very eco-friendly. Everything is handmade. They don't test on animals. Packaging is sparingly used and when it is, they utilize 100% recycled pots and bottles. I dig it. Anyway, boyfriend and I took a look around. The ladies were very kind and attentive; they're always willing to let you sample a product. My boyfriend and I both have eczema, so they pointed out some products ideal for sensitive skin. These items are being used by BOTH of us; they are in fact gender neutral. And awesome! The Dirty body spray contains tarragon, spearmint, lavender, and thyme. Together they blend into a light musky smell. It's perfect for men who want to smell amazing and women who want to smell kind of like their man. It's not overwhelming or super manly. The scent is decently long lasting and not just for the body. The LUSH lady pointed out that you can use it to refresh your clothes, your room, your car, etc. 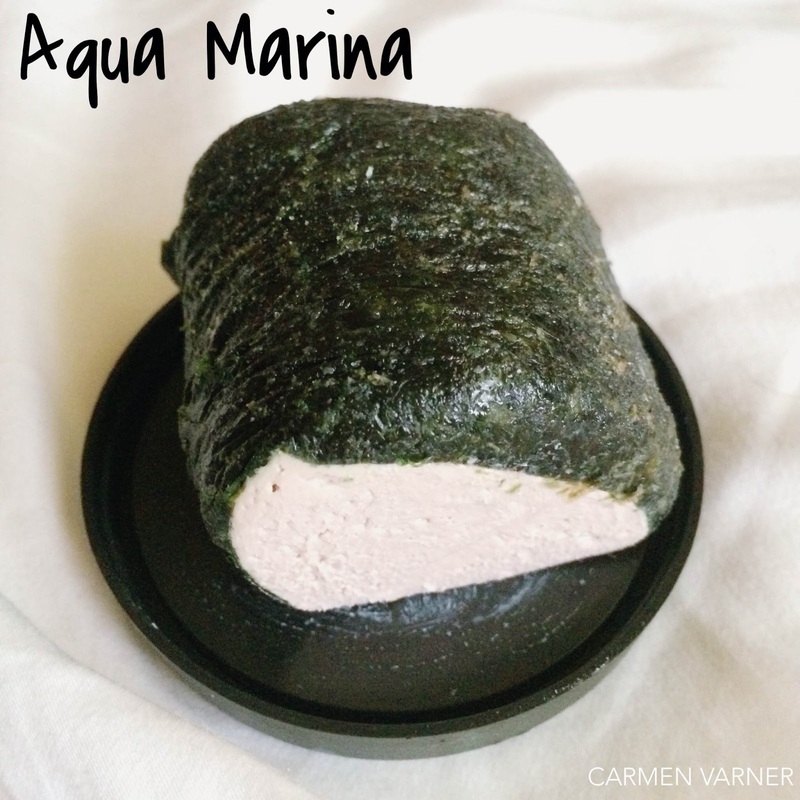 This Aqua Marina cleanser is ideal for those of us with sensitive skin. When my boyfriend and I were perusing the store, this is one of the first things we spotted. Sushi??! Not quite. This gentle cleanser contains calamine, nori (seaweed), and aloe vera gel. It leaves your skin super soft and hydrated, which is great for anyone with dry skin. I have somewhat oily skin, so I'll have to see how this fairs over the next couple weeks. You simply wet your skin and take off a tiny piece of the cleanser, then rub gently onto your skin. The T'eo deodorant just may be my favorite product of the bunch. Boyfriend and I smelled it initially and had to get it. The LUSH lady completely convinced me when she said she uses it and often has people asking her what perfume she's wearing. I kid you not, this smells heavenly!! 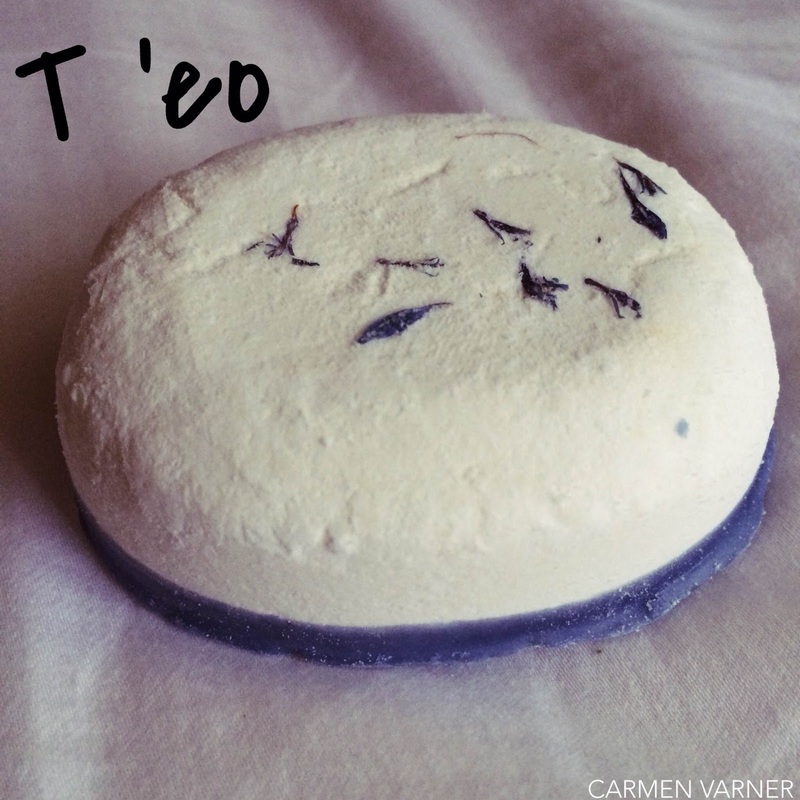 T'eo has a strong citrus/lemon scent and contains juniper berry, tea tree and lemongrass. To use, just rub the bar on your armpit. You can smell your underarm a couple hours later and still be in awe of how good you smell! Amazing! I used to use the Aqua Marina cleanser for a while and really liked it. Great haul! I'm actually super interested in trying out that deodorant , especially with summer and i hate those spray one! Oh I do love lush! The seaweed is kind of creeping me out though haha! I haven't had the best experiences with LUSH on my face but their body products smell amazing & feel like heaven she you use them! That cleanser looks quite intriguing, might have to pop into Lush and give it a try! I've only really tried their bath products but apparently their face and body product products are worth the hype! Lush it great, I love the Olive Branch Body wash, it starts my day with a bang! They will convince lenders that you are fit to receive a loan. by taking a closer look at the reverse movement of the line in baseball. If you do not have the money to pay, this will make things very stressful. These types of loans, therefore, have higher fees attached to them. In the next few years, these loans grew exponentially.